The LineSeries are represented on the chart as data points connected with straight line segments as shown on the image below. LineSeries class inherits from the CategoricalStrokedSeries class - See the inherited properties. 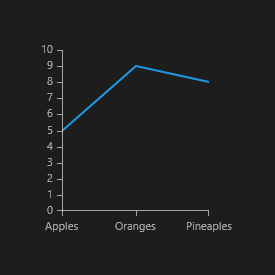 Here's an example of how to create a RadCartesianChart withLineSeries.